Based on a protein from E. coli, scientists at Tokyo Institute of Technology have developed a fluorescent protein sensor able to provide real-time information on dynamic changes in oxygen levels with very high sensitivity. As the oxygen level is a major determinant of cellular function, the idea behind this sensor may revolutionize our ability to detect cellular changes of critical importance, such as in tumors and following stroke and heart attack. Oxygen is a major player in the biochemical processes that make life on earth possible. Being able to rapidly and accurately measure oxygen levels inside living cells could be useful in several areas of biology, including physiology, medicine, and bioengineering. For example, oxygen levels in cancer cells can affect their response to anti-cancer therapies, while oxygen levels in tissues following a stroke or heart attack can influence treatment and recovery. In a recently published article in the journal Scientific Reports, Jiro Nomata and Toru Hisabori, researchers at Tokyo Institute of Technology, report the development of a new type of oxygen sensor that may dramatically alter our ability to detect changes in cellular oxygen levels. "Limitations in previously developed methods to measure oxygen levels make it difficult to analyze oxygen levels in living cells" notes Prof Hisabori, "so we aimed to overcome these limitations by developing a genetically encoded sensor that can provide real-time information on the dynamic changes of oxygen levels in living cells." The researchers used a protein called the direct oxygen sensor protein, or DosP, from the bacterium E. coli, which has the ability to either bind or release oxygen depending on the oxygen levels inside the cell. The part of the protein that can bind oxygen was isolated and linked to a fluorescent protein, before evaluating the fluorescence intensity of the resulting product under different oxygen levels. The researchers found that the fluorescence of their novel protein, named ANA sensor (anaerobic/aerobic sensing fluorescence protein), increased in the presence of oxygen and decreased in the absence of oxygen, thereby successfully tracking the dynamic changes in oxygen content. Further development allowed them to fine-tune the protein to enable more accurate quantification of oxygen levels. By using the ANA sensor, photosynthetic oxygen production by a photosynthetic microorganism (cyanobacteria) could be monitored. 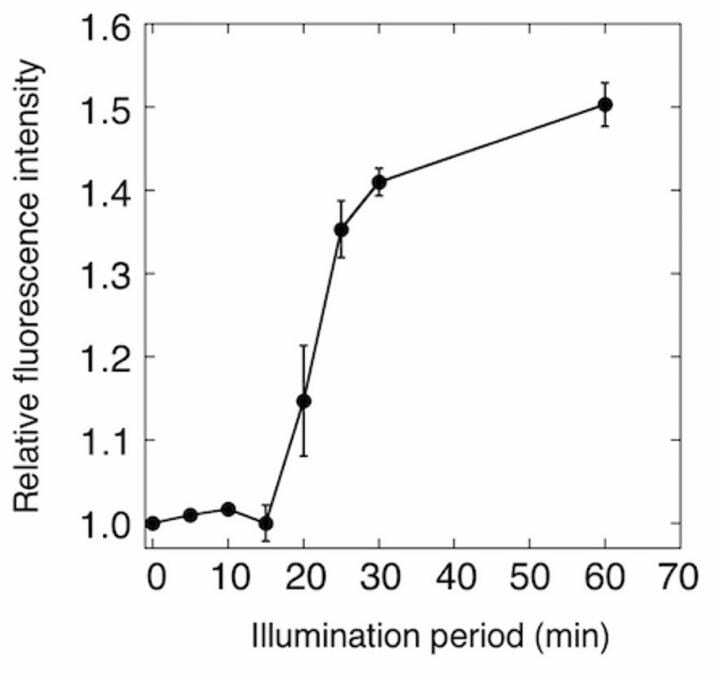 Notably, in a dramatic improvement over previous oxygen detection methods, changes in oxygen levels are reflected by changes in ANA sensor fluorescence with very high sensitivity. Perhaps the most significant aspect of this study, however, is the potential to apply this method to the development of other protein sensor probes to detect a number of cellular changes at the molecular level. "Almost all current sensor protein probes are based on conformational changes," notes Dr. Nomata. "In contrast, the fluorescence quenching mechanism used in this study expands the possibilities for the development of novel protein sensor probes."